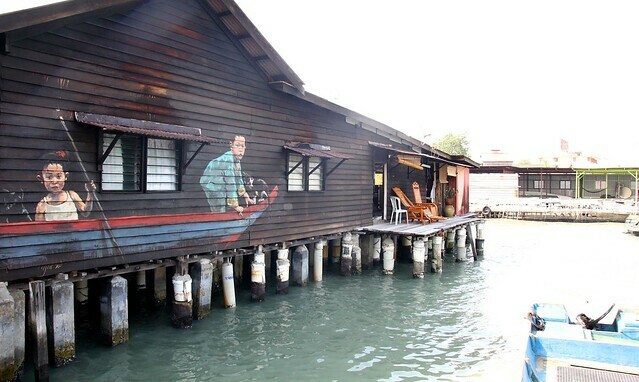 Ernest’s Mural At Chew Jetty – Boy On Boat – Went to Chew Jetty last week to check out the mural by Ernest Zacharevic which is about a boy with fishing rod on a sampan. I’m so outdated already because it had been there for like a month. Anyway, I still want to go check it out and capture photo because it’s cute. Weather wasn’t that nice that day, it was hazy, humid and hot! Argh. 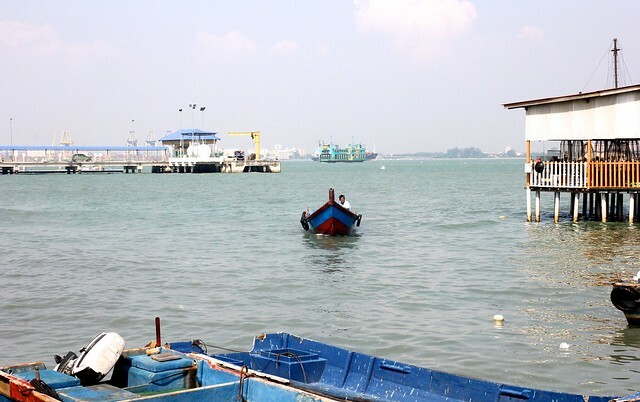 I couldn’t spend a long time under the hot sun, it’s very uncomfortable as I was unprepared. Just went there spontaneously and did not expect the weather to be so hot. Here’s Hueisean with the mural. 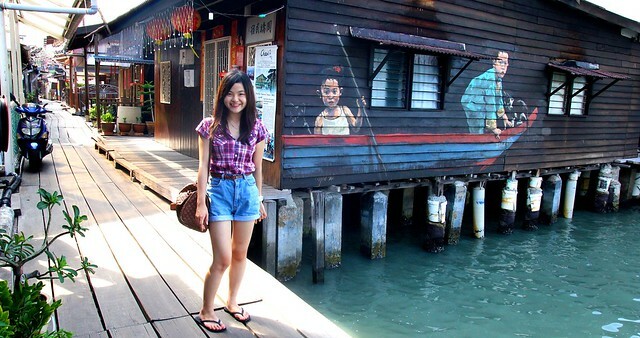 It’s drawn on the wall of a homestay wooden house at Chew Jetty.